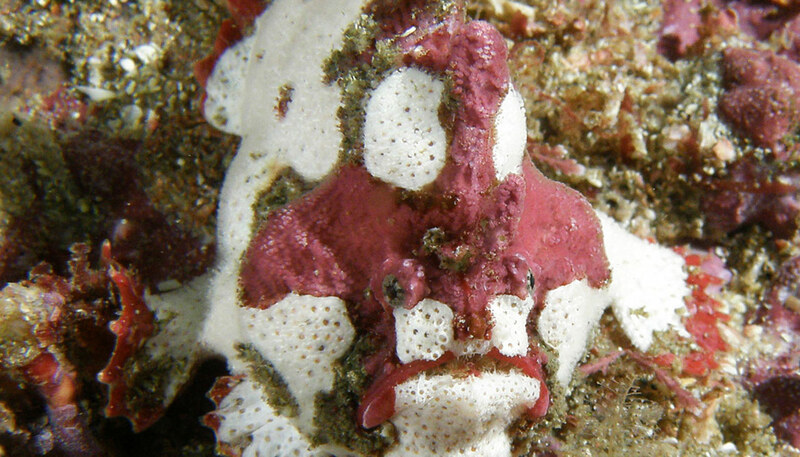 Scientists have announced the name of a new genus and species of frogfish, small stocky creatures found in most tropical and subtropical oceans around the world. The fish was first seen and collected in Australia in 1980 by a University of Washington graduate student, but the sole specimen disappeared soon after, leaving researchers no option but to shelve the discovery. After nearly 35 years, the color-changing fish known for its red “fingers” finally has a proper name. Recently, another graduate student, Rachel Arnold, and fisheries professor Ted Pietsch again located the elusive fish in Australia’s Botany Bay near Sydney and helped collect new specimens—one of the requirements for naming a new species. After sequencing its DNA, they realized they had in fact discovered a new genus and species. Now, Porophryne erythrodactylus—or red-fingered anglerfish—has a place in the exhaustive Catalog of Fishes database maintained by the California Academy of Sciences and its DNA housed in GenBank. It even has its own Wikipedia page. After the first specimen disappeared in the 1980s, divers again saw the fish in 2005, and the University of Washington scientists worked with an Australian museum to collect three specimens. The fish had two different color patterns, which led scientists to believe there were two different species under the new genus. But after Arnold sequenced DNA from each, she realized they were the same species that have the capability to change from a grayish color to one that varies from reddish-pink to orange for camouflage. The new species has a distinct red coloration on the tips of its pectoral fins. Its dorsal fins have a unique shape, allowing the fish to dart quickly over rocks. 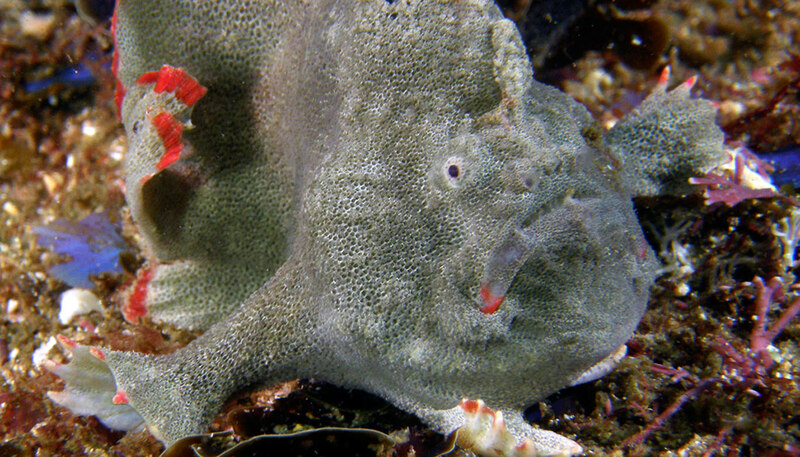 Other frogfish instead amble or “walk” across the seafloor. Some divers have observed the fish moving its red-tipped fins, almost like it’s waving its brightly colored fingers to catch the attention and curiosity of potential prey, Pietsch says, though that connection is merely anecdotal. 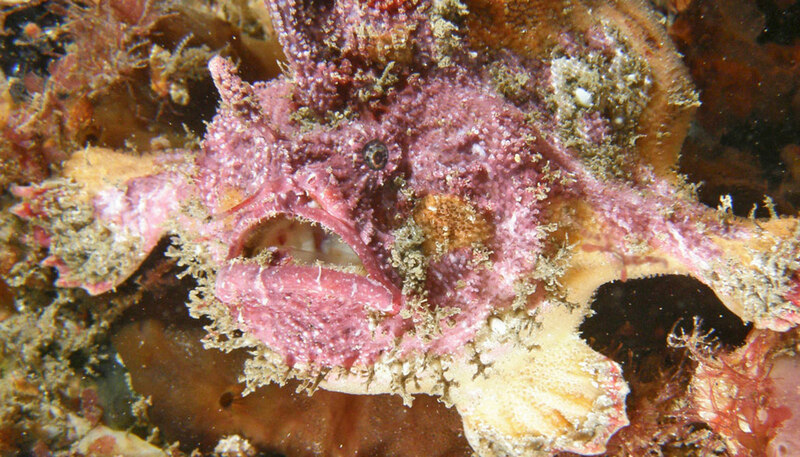 While this particular fish has only been seen off the coast of Sydney, frogfish are found worldwide, including US shores along the Atlantic coast, Hawaii, and as far north as Los Angeles. Most species are thriving, and their strategy is to blend into reefs and bottom rocks using their spiny, textured outer skin for camouflage. 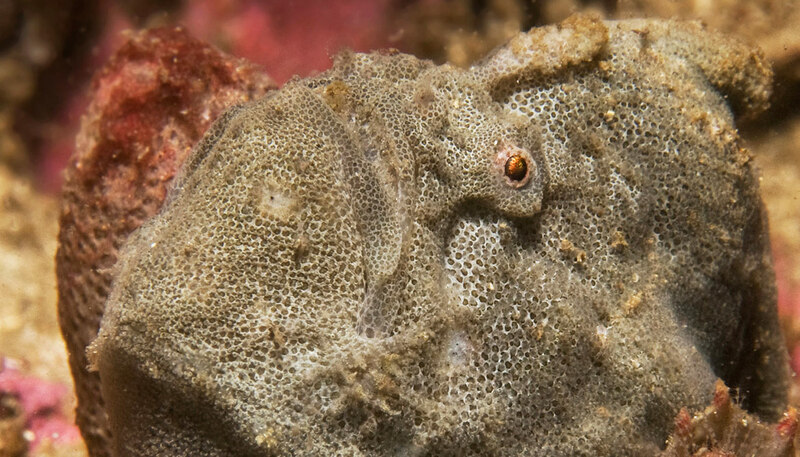 They hardly move—and rarely swim—but when they do, they clamber across the sea bottom using their fins as “feet.” They wait for crustaceans and other fish, even frogfish, to approach. Then in a split second, they open and enlarge their mouths up to 12 times the original size, sucking in the prey whole. This can all happen in as little as 6 milliseconds. 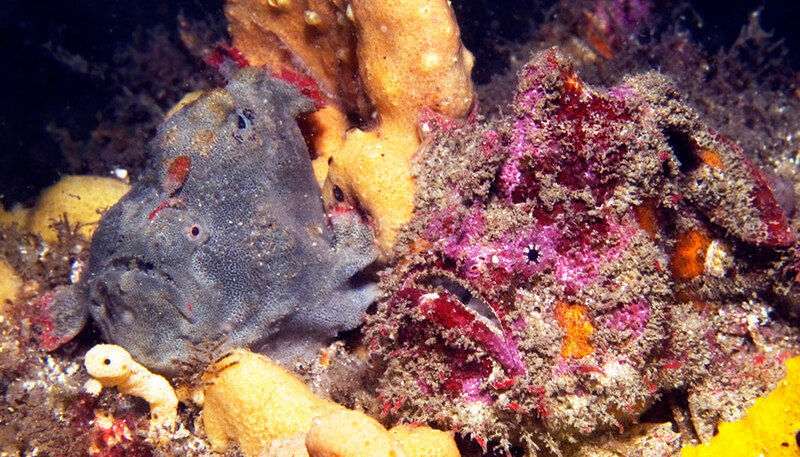 A special muscle in the esophagus keeps the swallowed prey from escaping, and the frogfish can also expand its stomach to digest its hearty meal. “They are so odd-looking and yet so photogenic,” Arnold says with a laugh. So far nothing is planned for the red-fingered anglerfish in terms of population counts or conservation activities, Arnold says, though its home in Sydney’s Botany Bay is full of industry and has water-quality issues. She hopes this species is included in any future studies because it’s a native fish not found elsewhere. Arnold, who graduated with a doctoral degree last spring, is the lead author of a recent paper in the journal Copeia describing the discovery. The paper’s other coauthor is Rob Harcourt of Macquarie University in Sydney. The Dorothy T. Gilbert Ichthyology Research Fund supported the work through the University of Washington’s School of Aquatic and Fishery Sciences.